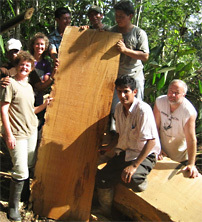 Jim Birkmeirer of Timbergreen Farm from Spring Green, Wisconsin is working with the Kallari Cooperative in Ecuador. 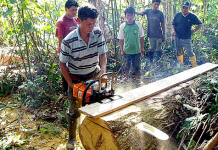 He was planning a training trip down to the cooperative, and wanted to include a Timberjig and a 36” Picco bar and ripping chain in the mix of equipment he would be using to train the cooperative members. Jim has a successful flooring business in Spring Green, using the Logosol PH260. 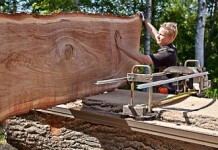 He also is a successful sawmiller and a forester, so he knows his stuff when it comes to milling. 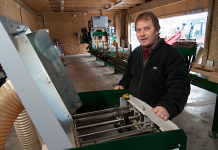 But, for this trip, he had to leave his big sawmill behind, so he turned to Logosol to help with the technology for this area where there were no sawmills in place. 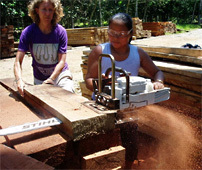 The Kallari Cooperative in Ecuador had been milling lumber for years, but it was all done by freehand milling with a chainsaw. 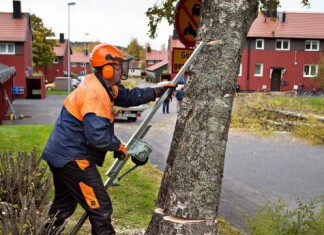 Jim was going into territory where they “knew their stuff” when it came to chainsaws. Then Jim started his training. 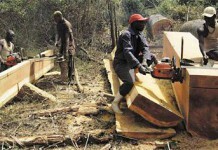 After the first big slabs began to be sliced off of logs that had lain in the forest for years, Jim began to get their attention. 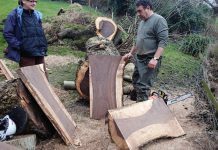 When he put the 36” picco bar and ripping chain Logosol had sent with him on the big Stihl, and the saw began to move faster through the log, they really got interested. 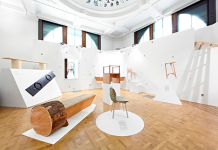 And when they began to slice boards out of scrap pieces of wood with the Timberjig, there were hooked.